Back in early 2016 when Vestron Video announced they would be releasing some of their better known cult horror classics on Blu Ray for the very first time, remastered and with a plethora of special features, none of us knew just how big this could possibly get. Starting with the Jim Wynorski classic Chopping Mall (a personal favorite of mine), they've been rolling out classic after classic and there doesn't seem to be any sign of them slowing down. 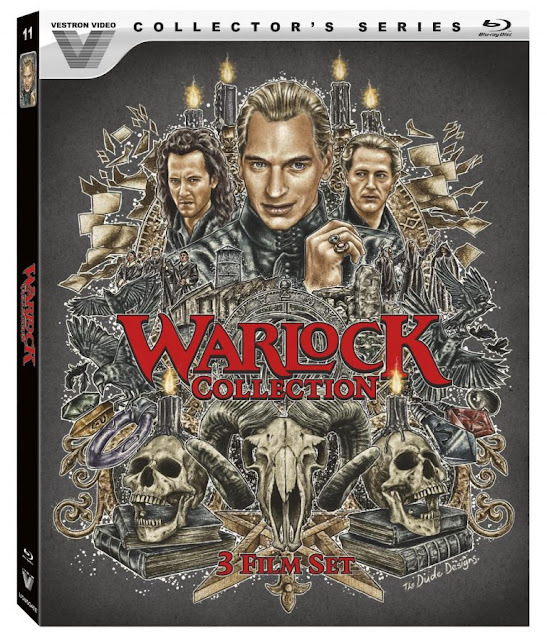 With one of their latest releases, I was excited because not only was it Warlock, but it was all 3 Warlock films to date. And it was an excuse for me to finally revisit some of these that I hadn't seen in well over a decade. So let's dig in. This 2-Disc Blu Ray set comes packed to the gills with an insane amount of content. Starting with the transfer's themselves, they're excellent. While not a big fan of the first film in general, I can't deny that the HD transfer isn't incredible. The images are sharp, the blacks are strong and I noticed zero grain in any frame. It really is the absolute best transfer of this particular film anywhere, and if you're a fan of this entry, or even just a casual fan like myself, you owe it to yourself to grab this. I think I had more fun digging into the special features more than I did the film, but that's just me. Warlock, as a film, has so much potential but never really satisfied me the way I had hoped. It's a solid film though, with some great things going for it. It just didn't hit all the right notes for me. You can check out my full Warlock Film Review HERE. But the extras were certainly fun to dig through. Miner isn't the most interesting fella to listen to, and certainly doesn't come across as someone who's got a foot in the horror genre with multiple franchises, but he did give some good info on the production, most interestingly when he discusses his disapproval with the flying effects. I also found it amusing that Lori Singer isn't interviewed, but when she's brought up and discussed, everyone is very kind in their description of her. It felt a bit too forced if you ask me, basically saying how difficult her role must have been under all that makeup. Rumor has it she was difficult, but I guess we'll never know. Still, you have a healthy dose of extras to dive into and Vestron really went all out with this one. I loved this one so much. It took a sharp 180 turn into camp/cheese with a self-aware attitude and I loved it. It was entertaining, gory, cheesy and most importantly, fun - something the first one was sorely missing. Director Anthony Hickox put the pedal to the metal here and gives the film so much style and energy by way of a dark comic book. It's everything I hoped the first film would be, but better. Is it perfect? No. But it sure is a helluva good time. The HD transfer here is excellent. There were only 2 moments, mainly in the beginning and at night, where I noticed some very slight graininess in the blacks, but they were extremely brief and the rest of the film is devoid of any of those issues. And being that most of the film takes place during the day, the crystal clear image brings the film to a much higher level of awesome. Until now even the DVD release was only marginally better than the VHS release, so this new 1080p presentation is leaps and bounds better than anything we've gotten up until this point. I highly recommend listening to the commentary by Hickox. The guy's a hoot and I just love his insight into the production of this and where his head was at at the time. Very fun, and very informative if you love that kind of stuff. The vintage stuff was also fun to look at. Even then, you see such a difference in Julian Sands. You can tell he was just having a grande old time resurrecting his most famous role. I'll be completely honest and say that sadly, all the upgrades are wasted on this particular entry in the franchise. Sure it's clear and sharp, but it's a low-budget film that wasn't all that pretty to look at to begin with, so it's not really all that better in 1080p HD. But that's just me. If you love Bruce Payne or Ashley Laurence, then maybe this is worth a visit, but be warned, it's more of a haunted house or ghost story than anything else. It also works as a time capsule into the late 90's, and for that alone, it's worth a watch. Ultimately this is a no-brainer. For the price it goes for, it's definitely a wise investment just for the large number of Special Features alone. The films themselves get the best transfer's they've ever received, and the sheer entertainment value alone of the first 2 films makes this a Must-Buy. 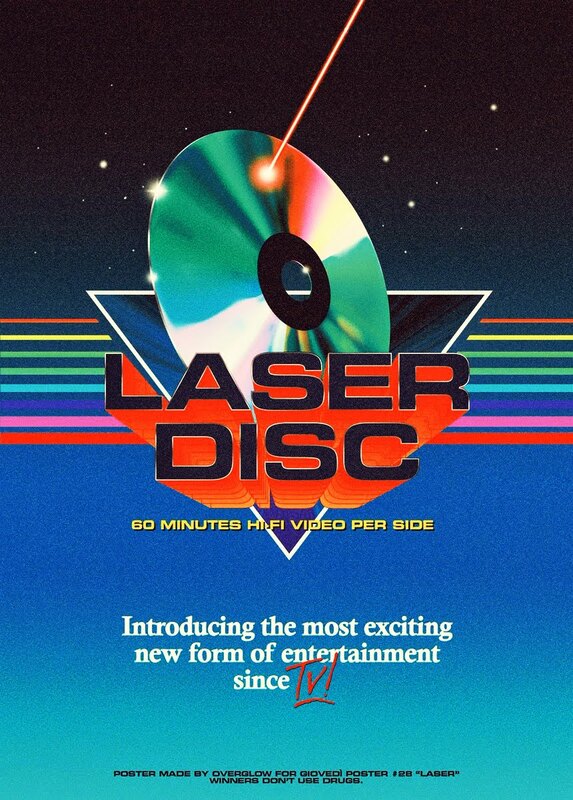 The first film comes on the first disc with that films special features, while the second and third films are on the second disc along with their extras. The packaging is rounded out with newly commissioned artwork and a collectors slipcase. This was released in July of this year, and can be picked up at any number of online retailers for roughly around $25. That's a steal! Grab it while you still can. If you would like me to review a film or blu ray release, please feel free to contact me at jasonisageek@yahoo.com.